Enjoy visiting sightseeing spots in Tokyo. The ticket is available for all the 2 courses: Red course、Blue course. Not only sightseeing but also you can enjoy shopping and gourmet. Have fun with dynamic view from the open top double decker. This course goes around Asakusa, the most famous sightseeing spot in Tokyo, and TOKYO SKYTREE. 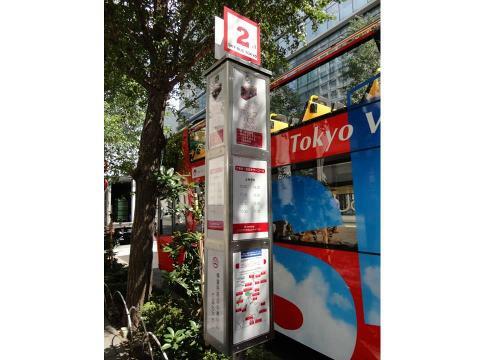 The bus starts at Marunouchi, stops at Ueno which has the famous zoo, TOKYO SKYTREE, Asakusa - the old downtown Tokyo and Akihabara - known as the most famous electronic town in the world. You can get on and off at any bus stop you want. You can enjoy walking at the destinations. 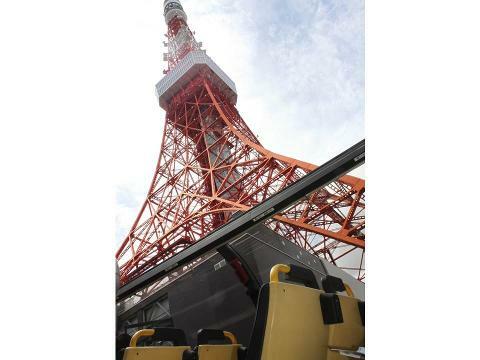 This course goes around Tokyo Tower, a famous tourist attraction in Tokyo, Tsukuji and Ginza. 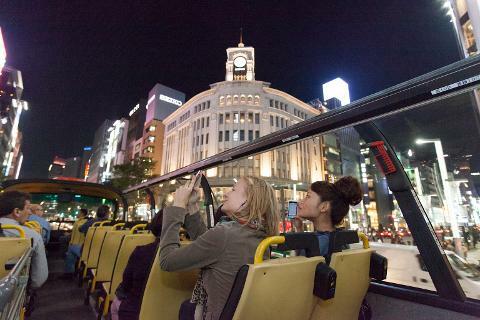 The bus starts at Marunouchi, goes around Tokyo Tower, Tsukiji fish market and Ginza where you can enjoy "Kabuki" - a traditional Japanese performance. You can get on and off at any bus stop you want. Enjoy walking around at the destinations. ・The ticket is valid for 24 hours after purchase within business hours. ・It may be that seats get fully occupied during busy periods. In that case please take the next bus. You may not transit depends on traffic congestion.